Beautifully manicured. 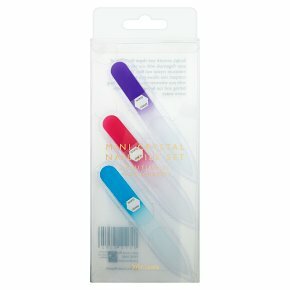 Sculpt, smooth and shape the edges of your fingernails with our set of three miniature crystal nail files. The small, compact size allows you to take them with you wherever you go. They are long lasting, and can be washed clean with warm water.